Playing today in the ‘rock room’ is a brief, but stunning and historic performance by legendary West coast troubadour, Tim Buckley. Inspired by news of two upcoming (October 2018) live releases hailing from Buckley’s 1969 residency at the Troubadour, I decided to play a few choice live cuts from the available circulating Buckley live performances to be found in the ‘rock room’ musical files. 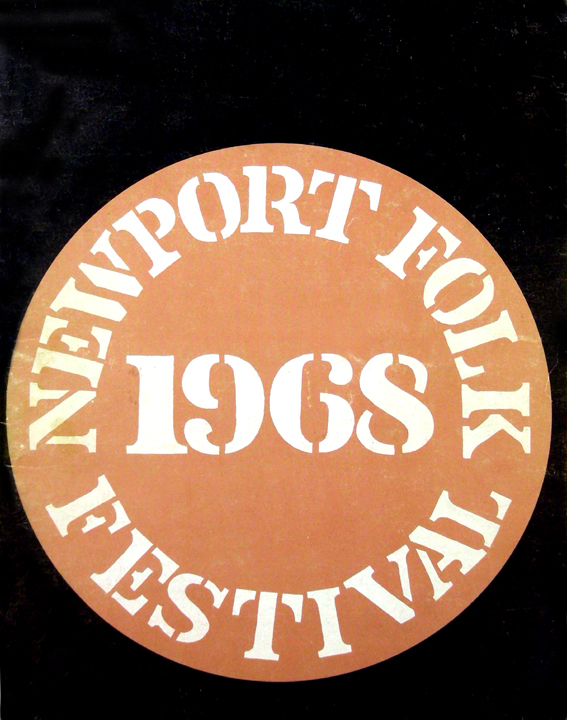 Similarly to his career this all too short set by Buckley comes from his performance at the 1968 Newport folk festival. Thankfully recorded for posterity Buckley’s set is available ‘officially’ via The Bill Graham collection at Wolfgang’s Vault and ‘semi’ officially on import compact disc. I do not pretend to know the legalities recording this concert, so it may be a boot, it may be official, but one thing I can confirm is that it is special and worth seeking out. Buckley’s July 28, 1968 set is an aural snapshot that develops to reveal an artist on the cusp of full personal gratification through artistic experimentation and creative development. Luckily for admirers of Buckley’s work this set settles smack dab in the middle of Buckley’s most fertile and respected era. 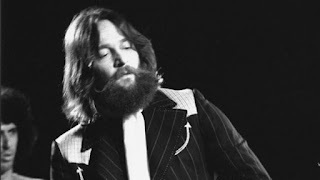 The blurred segue that blossoms colorfully between 1967’s Hello and Goodbye and 1969’s Happy Sad can be explored here in Buckley’s hearty 12 string, Carter Collins’s deft percussion and the emotive ringing of David Friedman’s vibes. Guitarist Lee Underwood is not present on this recording, unfortunate but allowing for Tim’s acoustic to take center stage. The available recording is a soundboard four track master with perfect aural characteristics, with a set book ended by Buckley originals with its core made up of a folk standard and a Fred Neil (Buckley’s idol) classic. 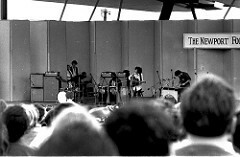 Following Buckley’s short British visit which resulted in the posthumous regal live release Dream Letter, Buckley returned to the states for dates well practiced and musically peaking. Buckley’s Newport performance begins with an introduction by Oscar Brand who expresses Buckley’s uniqueness by stating that Tim works in a ‘modern idiom on a fine bed of folk music’. Later disregarded by its author, Buckley’s set begins with ‘Buzzing Fly’. Here in the freshness of its compositional birth ‘Buzzing Fly’ hovers spacious and in panoramic. Buckley’s vocals pour from within like ‘honey in the sun’ while his acoustic chime circles only supported by tambourine and glistening vibes. I feel that throughout this show and others of the era that Buckley is finding ways to use his live voice and what he can do to manipulate it. Obviously by 1970 he would exceed those vocals limitations and more. ‘Buzzin Fly’ is a proper introduction to a crowd that in its entirety may be getting their first exposure to Buckley. Appropriate to his surroundings, Buckley follows his opening number with a definitive version of ‘Wayfaring Stranger’, a folk song covered by many and born in the 19th century. Strident and urgent acoustic guitar work is dressed in a startling falsetto and Buckley’s dramatic vocalizations that like ancient pottery are cracked in all the right places. The rendition is a highlight of the recorded performance and a chill inducing musical expression. Buckley takes a short moment to introduce his fellow musicians to the crowd following the song to great applause. A stirring reading of Fred Neil’s ‘Dolphins’ follows and at the risk of sounding redundant is again an inspired and moving reading. 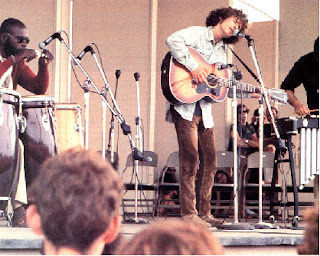 Fred Neil’s influence is found throughout the Buckley catalog and ‘Dolphins’ would be performed by Tim, until his untimely death. This version finds Buckley stretching each line to its precipice before submerging below the ocean surface, then breaching back into the glorious light of his musical ecstasy. Tim’s gentle waves of vibrato stir above his undulating acoustic, vibe, percussion stew. The performance feels definitive to me and judging by the feedback of the crowd, they feel the same way. Just like that the set is concluded and while brief, even on tape I feel like I am witness to something profound. From the collective crowd appears one of the finest moments of the capture. A woman’s voice can be heard on the recording calling for Buckley’s ‘Morning Glory’. While not acknowledged verbally, Buckley responds in kind and encores with the final track from his Goodbye and Hello LP. Buckley’s most covered song (Linda Ronstadt, Blood Sweat and Tears and others) is one of the Beckett/Buckley team’s most enduring tales; its lyrics drawing the interaction between a ‘searcher’ in his ‘fleeting house’ and a passing traveler. Unable to understand one another through their limited time together the song exhibits a sense of loss, misunderstanding, and sadness, in addition to a clandestine finality. All of the emotion stirred in the song stays at arms length as you never really know what the narrator expects or hopes to find, nor what keeps the ‘hobo’ from opening themselves more. This is what makes a great song its multiple interpretations and its way to bring to the surface feelings that the listener doesn’t even know existed in the first place. What a way to end a show, ‘Morning Glory’ is played here in filigreed arrangement, a moist morning spider web glistening, only threatened by the slightest breeze, but sturdy because of its thoughtful design and delicate beauty. ‘Morning Glory’ played here is a breathless and fitting conclusion to this beautiful concert, a sparse and natural collective of organic expression. For an artist in constant flux, this 1968 clip encapsulates Tim Buckley and acts as a primer to understand what he was about and what he was striving to be. Soon even the aspects on display at Newport would be replaced by new and more experimental ways of expression. Buckley’s acoustic would be put on its stand while jazz trumpets and atonal guitars eclipsed his folk leanings. Differing breezes were already beginning to stir on this aforementioned performance, but for the moment Buckley was content with where the journey had led him….to the stage at Newport.